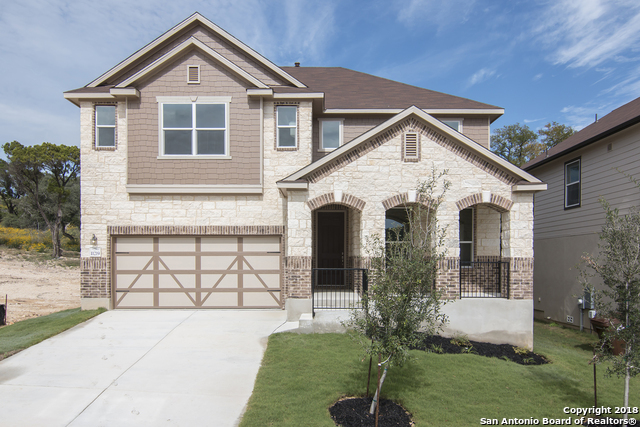 All RIDGE AT BANDERA homes currently listed for sale in Helotes as of 04/20/2019 are shown below. You can change the search criteria at any time by pressing the 'Change Search' button below. "Home features den and powder room conversion to bedroom 5 with bath 4, bath 3 at bedroom 2, 2-in. faux wood blinds, upgraded Shaw carpet and deluxe Carpenter pad at bedrooms, great room, and stairs, Armstrong vinyl plank flooring at entry, dinign room, hall, and kitchen, Woodmont Cabinetry Belmont kitchen cabinets, Silestone kitchen countertops with upgraded tile backsplash, Whirlpool gas range, 5-cycle dishwasher, and side-by-side refrigerator, extended cabinet with knee space at master"